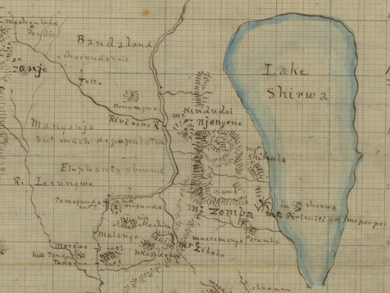 Rae, George, 1831-1865 (3) - Appointed Engineer to the Zambezi Expedition in February 1858, until 1864. Went into business in Zanzibar, but died prematurely in Glasgow a year later. Raffles, Thomas, 1788-1863 (1) - Independent minister in Liverpool 1811-62. Randall, Mr. (1) - Resident of Southampton. 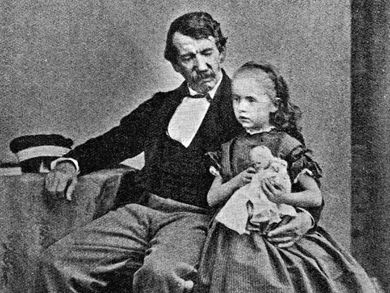 Ratcliffe, David L. (1) - Child named after David Livingstone. Ratcliffe, Mrs. (1) - Mother of David L. Ratcliffe, a boy named after David Livingstone. Rawson, Rawson W., 1812-1899 (2) - Colonial administrator. Served as Colonial Secretary of the Cape of Good Hope 1854-64. Richards, George H., 1819-1876 (5) - Captain R.N., 1854. Succeeded John Washington as Hydrographer of the Admiralty 1863-74. Richardson, John, 1787-1865 (1) - Surgeon on Franklin's Arctic expeditions and in charge of the search expedition for him. Ridley, Catherine (2) - Daughter of Charles Ridley of Felstead. Friend of Livingstone when he was at Ongar. Rigby, Christopher P., 1820-1885 (6) - Political Agent in Zanzibar 1858-61. Roberts, Samuel, 1800-1885 (1) - Pastor of Llanbrynmair 1834-57. Writer on social, political, and religious questions. Robertson, Joseph, 1810-1866 (1) - Journalist and historian. Chairman of Hamilton Council. Robertson, William, 1805-1879 (2) - Minister of the Dutch Reformed Church in Swellendam, Cape Colony 1832-72. Robinson, Mrs. (2) - Resident of Port Louis, Mauritius, visited by Livingstone in 1856. Rough, George (2) - Glove manufacturer in and Lord Provost of Dundee, Scotland. Rowe, William (1) - Stoker and storekeeper. Rowley, Henry, ?-1907 (3) - Deacon connected to the Universities' Mission to Central Africa 1860-64. Secretary to the Society for the Propagation of the Gospel 1865-1900. Russell, James (2) - Catholic clergyman, possibly an Irishman and a Jesuit. Russell, Lord John, 1792-1878 (55) - Third son of 6th Duke of Bedford. Created Earl Russell 1861. Member of Parliament and leader of the Whigs. Rutherfoord, H.E. (1) - Merchant in Cape Town and Director there of the London Missionary Society. Ryan, Vincent W., 1816-1888 (1) - Anglican clergyman. Bishop of Mauritius 1854-67. Livingstone met him when he called at Mauritius in 1856.